The Hawaiian Government Survey, which occurred during the mid to late 1800s, established to first comprehensive cartographic survey Hawaiʻi's lands following the Māhele. 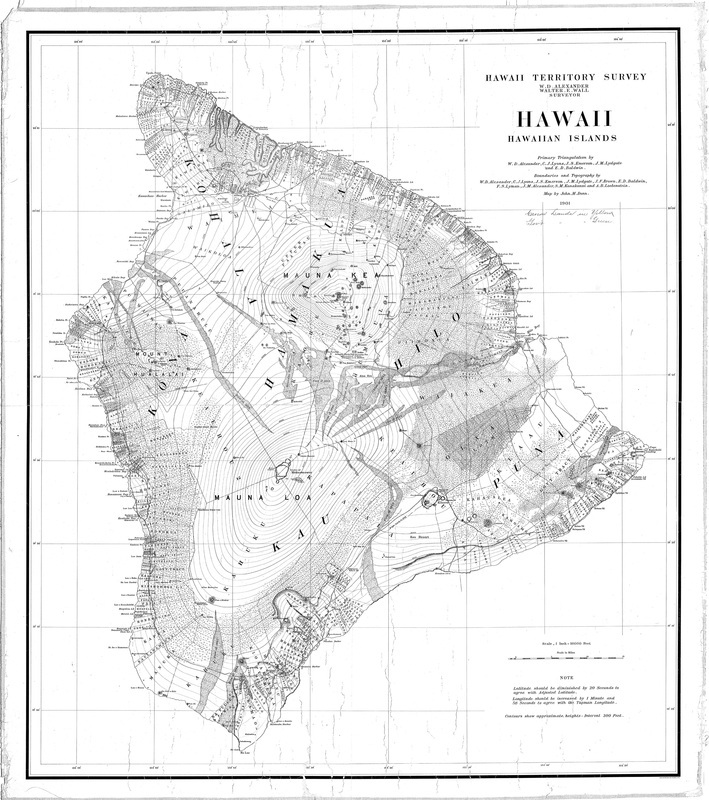 On this page we have made available, for you, Hawaiian Government Survey Maps of the moku of Hāmākua, and the ahupuaʻa of Kūkaʻiau, Kainehe, Koholālele, and Kaʻohe. to be directed to the maps you are looking for! Hawaiʻi State Land Survey Office in Honolulu, Hawaiʻi. Hawaiʻi Territory Survey, Map of Hawaiʻi, 1901. RM# 2124.